It has been 17 years and 107 days since the city’s pledge to build the West Branch Library. On December 31, 2014 we were greeted with an announcement released by Coyotes Co-Owner, President and CEO Anthony LeBlanc, “Today is an exciting day for the Arizona Coyotes and our great fans. The addition of Andrew Barroway to our ownership group further solidifies the Coyotes long-term future in the Valley. Our entire ownership group is excited about this opportunity to work with Andrew in taking this franchise to the next level. It’s a great day for hockey in Arizona!” Here is the link: http://heatwaved.com/2014/12/31/andrew-barroway-approved-buy-arizona-coyotes/ . We were told that Andrew Barroway’s purchase made him majority owner of the team holding 51%. The deal was praised as a means of creating financial stability for the team and some of the money would be used to raise payroll. Barroway said, “he and the nine minority owners were committed to infusing $30 million back into the team, with up to $9 million going directly to upgrading the on-ice product through trades and free agency.” As majority owner, Barroway would be the team governor, current governor George Gosbee would be alternate governor, and Anthony LeBlanc would remain as chief executive officer. Two days later, on January 2, 2015 Craig Morgan of Fox Sports News interviewed Barroway. 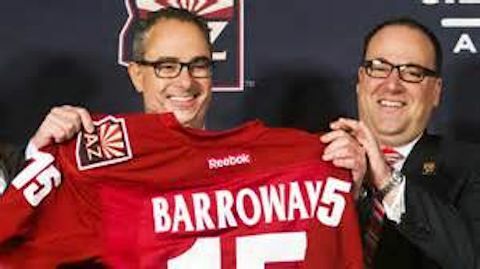 Here is the link: http://www.foxsports.com/arizona/story/q-a-with-coyotes-majority-owner-andrew-barroway-010215 . Morgan asked Barroway how active he would be as the new owner. Barroway indicated that he planned to be an active owner and would take part in all major decisions regarding the team. Morgan also asked if there would be any major changes and Barroway responded that he didn’t expect any. That was 4 months ago. So where’s Waldo? Er, Andrew Barroway? Sources inside Glendale City Hall indicate that Barroway, as the majority owner of the team, has not signed the lease management contract. At the very least, that should have occurred after the Board of Governors approved the sale to Barroway on December 31, 2014. Does Barroway’s absence from the team scene and Gila River Arena plus a lease management contract without Barroway’s signature signal trouble with the deal? At the last game of the season the Coyotes distributed their annual book replete with statistics, photos and bios of everyone (except God) including the owners minus any mention or photo of Andrew Barroway. It makes you scratch your head and ask what’s going on. There’s another Where’s Waldo moment…the failure of the Coyotes to submit a certified financial team audit to the City of Glendale as stipulated in the lease management agreement. It was due September 30, 2014…7 months ago. 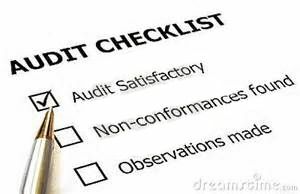 In anticipation of receiving the audit the city hired Tony Tavares in December of 2014 to perform the city’s audit. What’s so “proprietary” about an audited financial statement of profit and loss submitted to the City of Glendale that shouldn’t be a public record? After all, Glendale’s taxpayers are paying $15 million dollars a year. You would think we would be entitled. The team’s financial audit wasn’t “proprietary” when Steve Ellman and/or Jerry Moyes owned the team. Did LeBlanc fudge in his public statements about the team’s losses? Who knows? Apparently we, the public, the taxpayers of Glendale and the fans supporting the team with ticket sales, will never know the truth. Former President Ronald Reagan said, “Trust but verify.” LeBlanc and company want all of us to trust but at the same time they don’t seem to want us to verify. 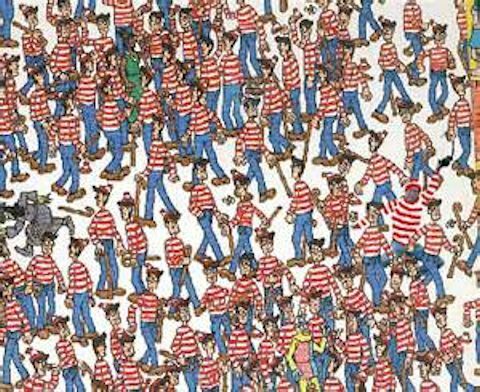 Questions remain unanswered…Where is Waldo? Where is Andrew Barroway and where is the certified team financial audit? There are answers but we are not getting them. Post Script: Today is the NHL Draft Lottery. Coyotes placed third in lottery line up. Anthony LeBlanc tweeting a good face on the situation…but Where’s Waldo? Me….Thanks….too many “have to do” action items prevented me but back on track now. While you have some valid points, your holding up Ellman and Moyes is any light of virtue or honesty is a joke. Neither Ellman or Moyes were reputable businessmen. If you want to go way back, it was their complete ineptness that has led everyone to this point. I believe it was Moyes refusing to show Glendale his books when he asked for a simllar hand out that also had a part in where we are now. Ellman bailed on Scottsdale when they asked him to prove he has the financing for his developement in Scottsdale. He didnt and bolted to Glendale where that council didnt ask the same thing. He scammed all of you. How many years late was he in starting Westgate? No matter what has happened, these owners present the best chance of success for the Coyotes. Jamison was a good guy and would have been a good owner but he didnt have a main backer that the NHL could rely on. We also know the 15M figure you keep using is accurate………but its not the complete truth. While I have issues with a private company giving its P/L to the public, until the out clause is eliminated things should be on the open table. I am not an accountant, but I would have a tough time accepting the 34M loss that was reported. According to them the “real” loss was 16M. Thats the figure I think (and thats not based on what might be right) should be whats used. You should relax though. It appears Vegas is getting an expansion team. That should put 10M to the good. The loses were also on the 1st year, which didnt reflect the new naming rights money, nor the CDN TV money. Thats 10-12M right there to the good. One more thing………guess we dont have to worry about the deal being reopened because of a council member violating the open meeting law. Havent heard your thoughts on that yet. I found it interesting that the AZ Republic would even interview Jeff Shumway…. and his response that under his stewardship for Jerry Moyes the Coyotes submitted timely audits. Yet we discovered through the bankruptcy trial that Ed Beasley made the offer to find additional revenue streams for the Coyotes if Jerry Moyes would agree to open his financials of the franchise and prove the need. And Jerry Moyes refused. So some revisionism seems to be afoot here. Secondly…. did not the City of Glendale hire Tony Tavares to lead this audit? Why didn’t the AZ Republic bother to interview him? Instead the Republic chose to seek talking points from council members who cannot be fully informed until the audit is complete. Finally….. Joyce….. regarding where Waldo is. By buying into Ice Arizona, Andrew Barroway automatically assumes the responsibility of the lease. i have been told by an attorney from another website (who is extremely versed on the lease agreement) that under the current agreement, his signature is not required. The coyotes would have you believe that the new majority owner invested late in 2014 without having been presented with current audited financial statements. That is ludicrous at best. Glendale has no recourse regarding this matter and the coyotes know it. This is what you get when a contract is signed in a hurry with a future coyote employee (Tindall) as one of the authors of said contract when he was the city attorney of Glendale. Glendale staff and council has been and continues to be pitifully out maneuvered. Very interesting article, Joyce! You bring up a lot of great points about this “ownership” group. However, I can’t help but think that you, single-handedly, could have put an immediate stop to this whole debacle when you were an elected official. It truly is too bad you are not in office anymore, representing the taxpayers the best you can. I truly don’t think any of the ratepayers in your district ever doubted your disire to look out for their best interest… I think once you started associating yourself with the Coyotes booster club known as “Glendale First”, that’s when people were unsure of you represting their best interest anymore. For years, you had the reputation as fighting hard for the taxpayers… A well-deserved reputation. I am glad you are seeing this crazy mess for what it really is now….Greedy Capitalists taking advantage of a SOCIALISTIC service provider within the City of Glendale and it’s hard-working tax-payers….PLAIN AND SIMPLE!! It is just too bad Fallar and his “following” had you convinced their “agenda” was best for the taxpayers. I by no means am saying any of this in a malicious way toward you, so please don’t take it like that. We all make mistakes..I know I have made more than my share!! Maybe one day you will be in a position to prevent this kind of thing from happening to Glendale again… Sounds like the City of Glendale could use it right now! Thank you Carl. Am now over 220,000 reads of my blog! Would you please consider running for office one more time….